Needless to say I’m so much happier with this one. 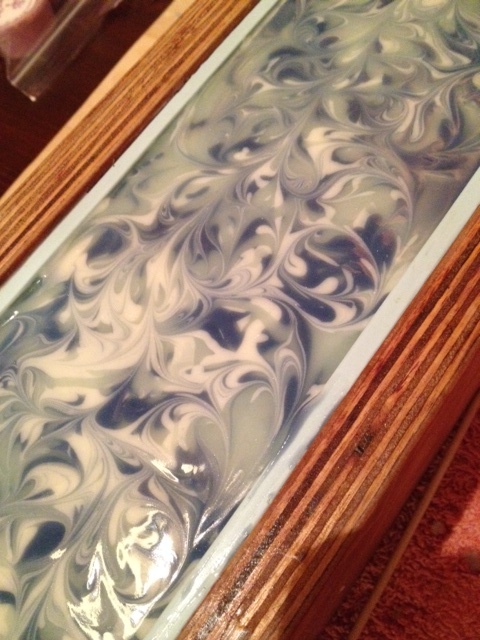 I think the browning effect of the vanilla actually improves the look of the bar and gives it some depth and interest. 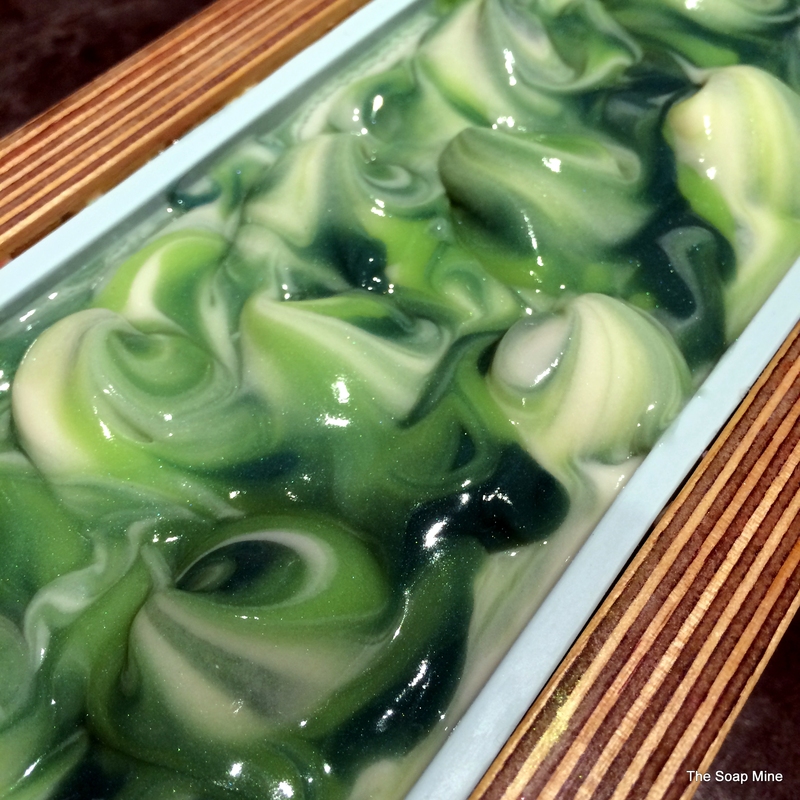 ‘Delicious’ is fragranced with a dupe of a DKNY fragrance and is described as ‘A fresh, green floral fragrance of crisp green apple, watermelon, cassis and a hint of cucumber’ and underneath those green waves is an In The Pot swirl. I wrote about the redesign of Tutti Frutti in my last post here. 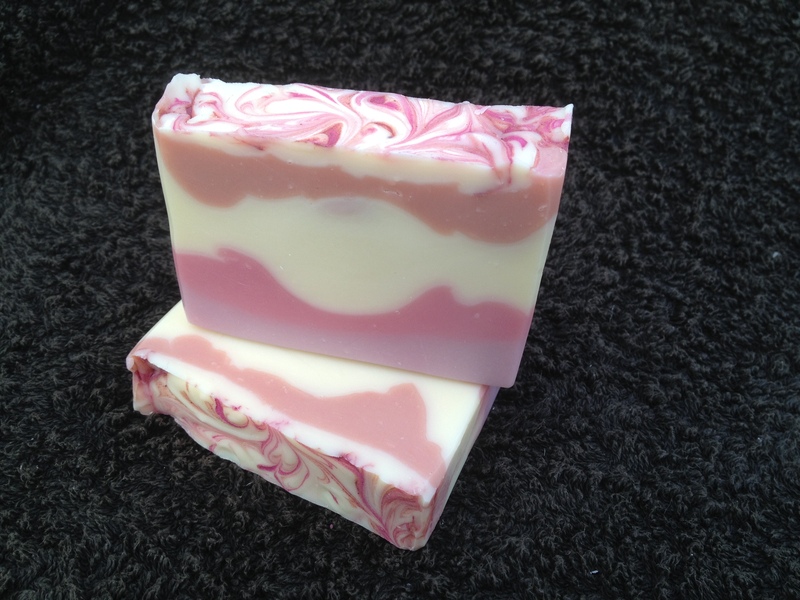 It’s scented with a very fruity Jellybeans fragrance oil, and this time I’ve kept the same design but have tried to intensify the colours somewhat so that they’re brighter in the finished bars. 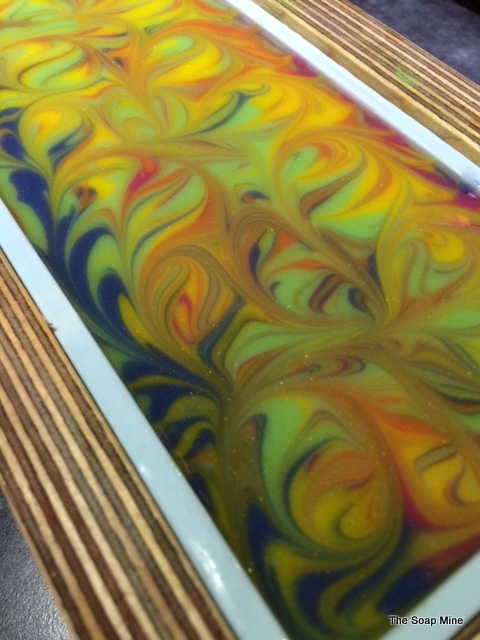 The soap batter was very slow to trace this time (not sure why – same recipe, same fragrance :-s) so rather than attempt to texture the top I just swirled the colours together, and I love the effect it gives. 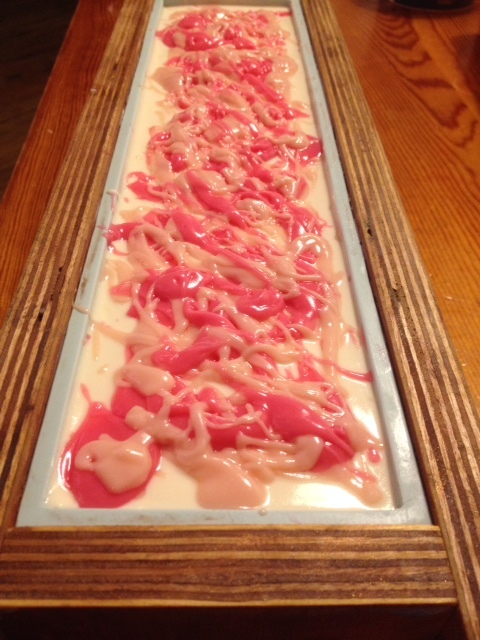 Soap in the Mould – name yet to be decided! I’m in full ‘Operation Christmas Fairs’ mode and have been for a good few weeks now. 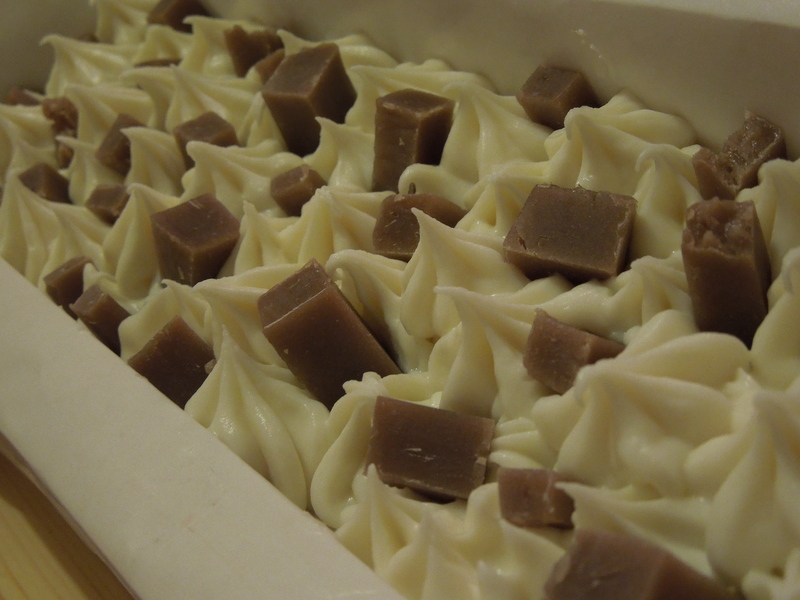 All my soapmaking has been restocks, and there is a LOT of time being spent packaging and labelling soap. 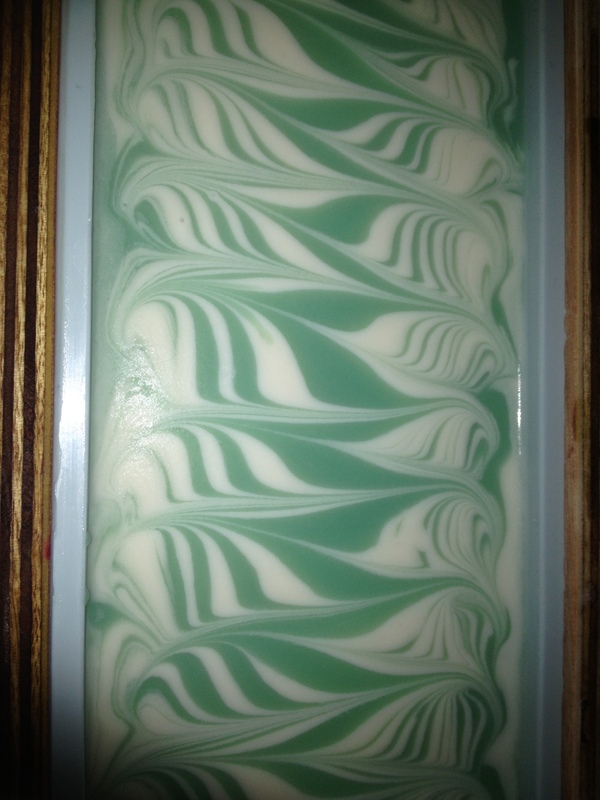 Consequently there hasn’t been much opportunity for creativity so I’ve playing around with my soap tops and and trying out different styles and techniques. 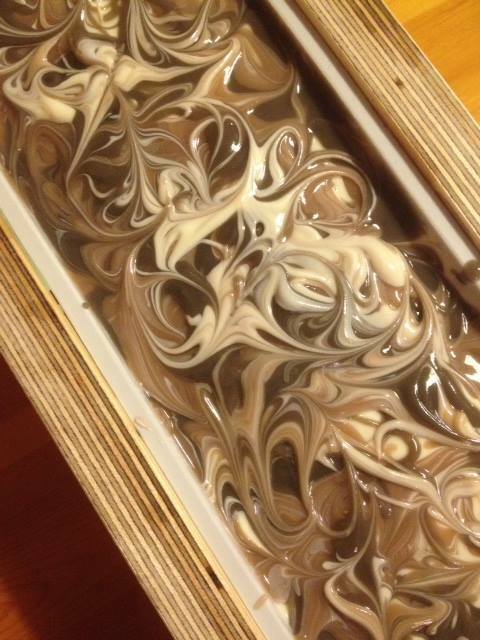 I mostly swirl the soap while it’s still fairly fluid, but I have tried letting the soap thicken up a bit and creating texture that way too. There seems to be an infinite number of techniques and methods, and I’m looking forward to doing some more experimenting in the quieter post-holiday months ahead. I don’t know about you, but I go daft for reading Soapy blogs. I use bloglovin, which I love because even though I don’t always get to read posts as soon, and as often, as I would like, it keeps me up to date with all my fellow soapy bloggers and I never miss a thing. 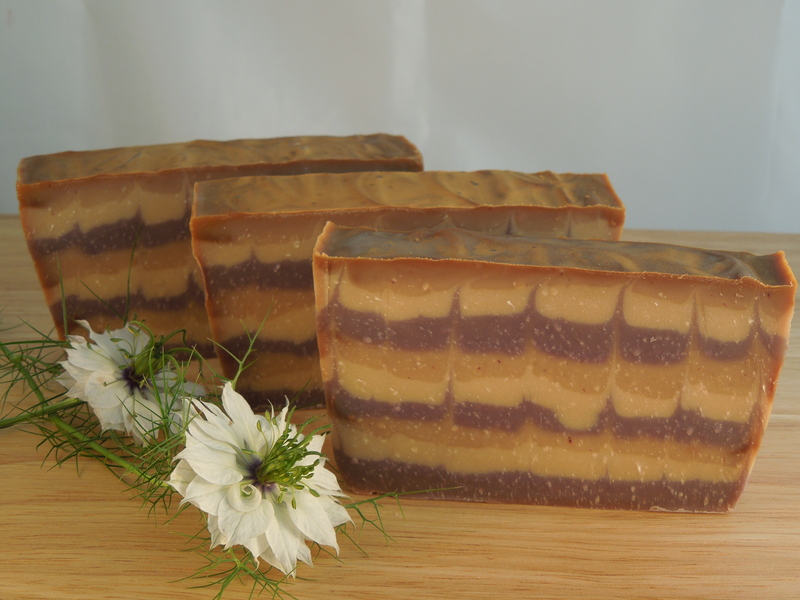 In fact, it was fellow soaper’s blog that reminded me last week that I had actually missed something – I’d forgotten to post about my most recent Lavender soap. 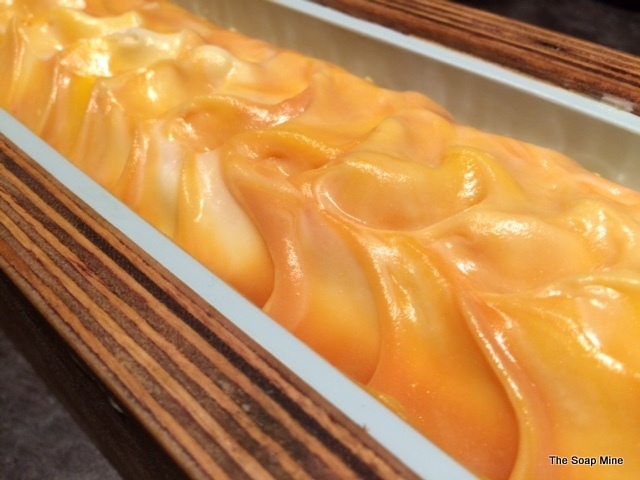 If you have a soapy blog please feel free to share it in the comments below. If I don’t already follow you – I will! A very quick update with some recent creations. 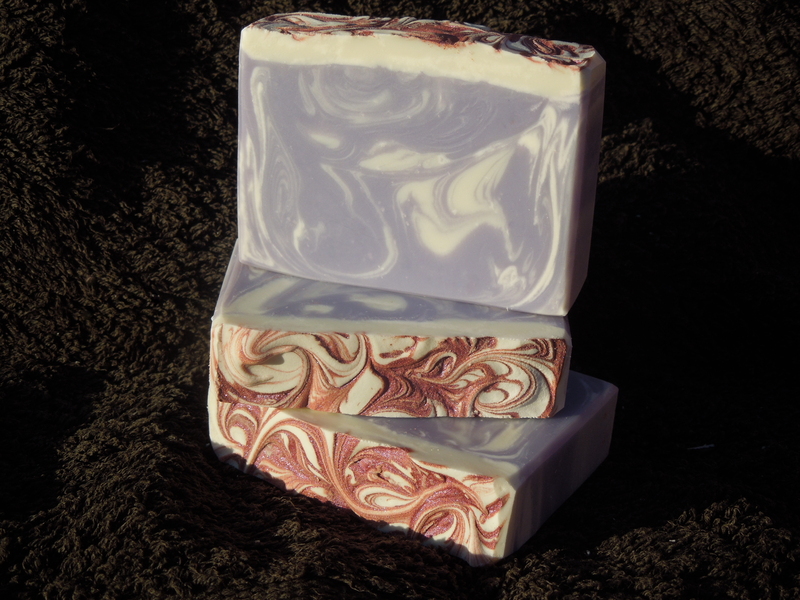 First up is a restock of Luscious Lavender – an ‘In the Pot’ swirl fragranced with Lavender Essential Oil and coloured with Titanium Dioxide and Violet Ultramarine. 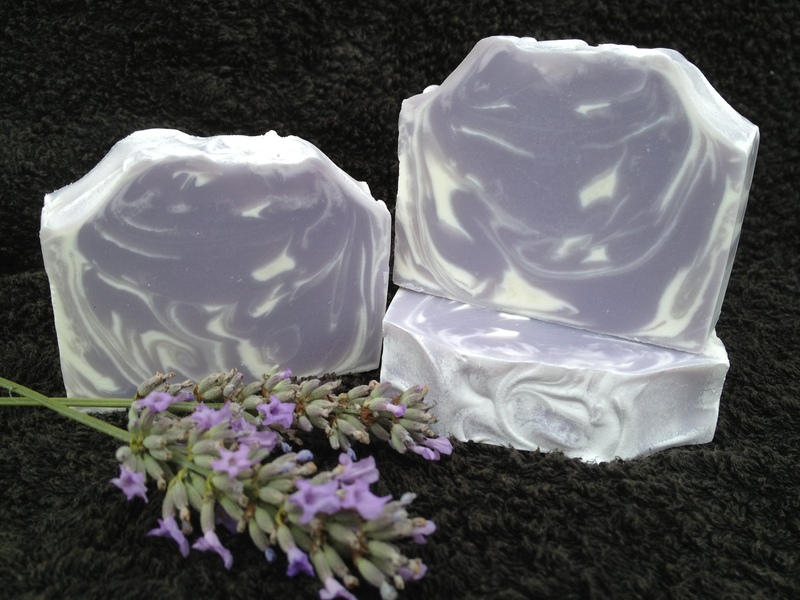 It always surprises me how popular Lavender still is – this one’s already sold out! This next one is Orange Sherbert. 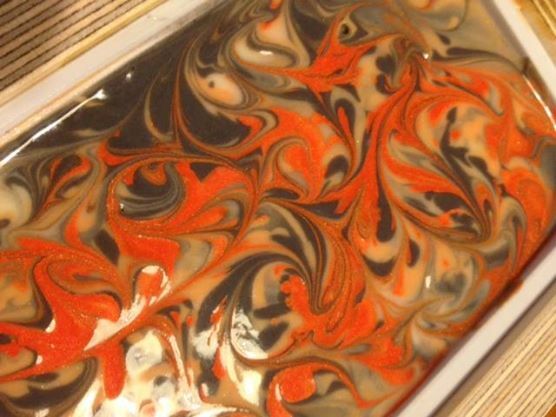 The batter thickened up VERY quickly but I still managed to do an ‘In the Pot’ swirl. 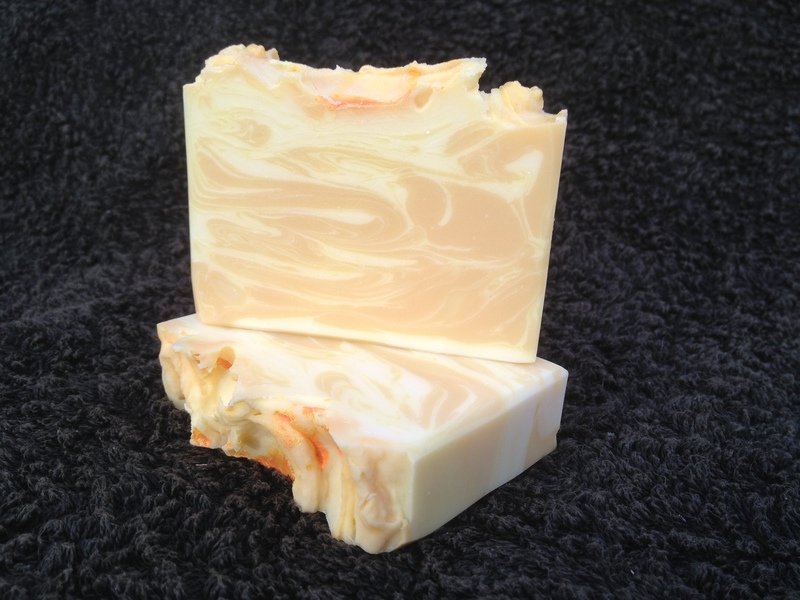 I really like the resulting folds, but I’m not sure I would ever be brave enough to try to replicate it as I was <this> close to getting the proverbial ‘Soap on a Stick’ :0) Fragranced with Orange Sherbet FO from Gracefruit and coloured with Titanium Dioxide and Orange Mica. Finally for today: Parisian Flowers. 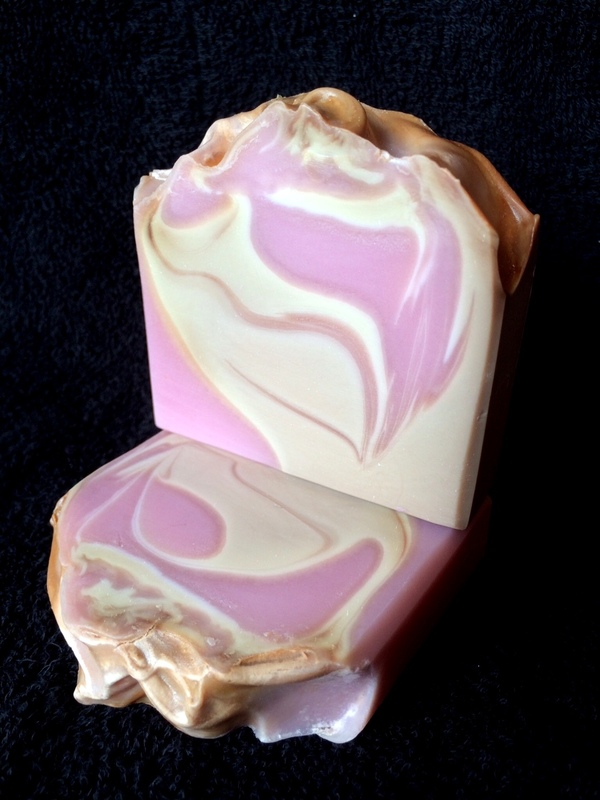 A deliberately uneven layered soap, fragranced with a heady blend of Ylang Ylang, Rose Geranium and Lavender Essential Oils. 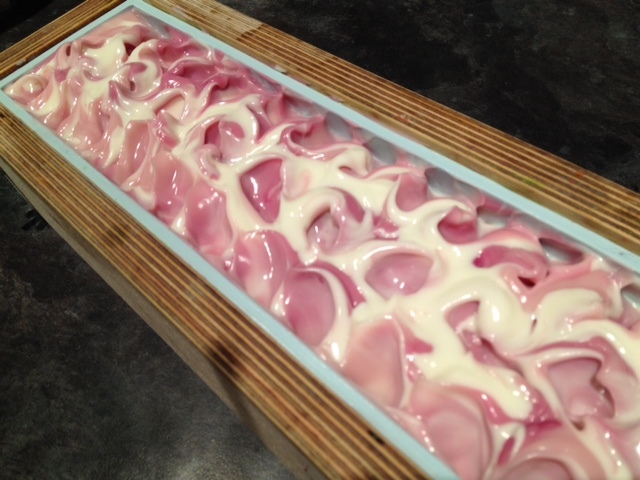 Coloured with Titanium Dioxide and a range of pink micas, with a mica oil swirl on the top. The Week in Soap: 9th Sept ’18 – Eight Weeks! 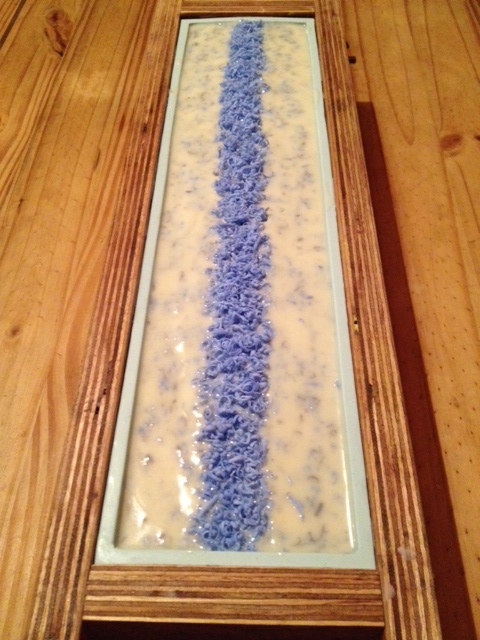 Learn how to make soap, bath fizzies, lotions, balms and more!